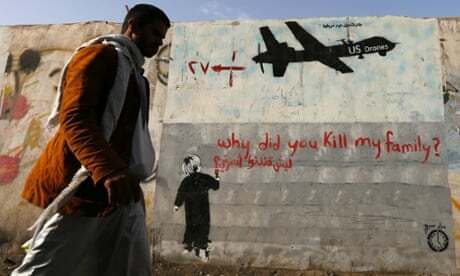 The drones came for Ayman Zawahiri on 13 January 2006, hovering over a village in Pakistan called Damadola. Ten months later, they came again for the man who would become al-Qaida’s leader, this time in Bajaur.Eight years later, Zawahiri is still alive. Seventy-six children and 29 adults, according to reports after the two strikes, are not. are confirmed terrorist targets at the highest level after a great deal of vetting that takes a long period of time. We don’t just fire a drone at somebody and think they’re a terrorist,” the secretary of state, John Kerry, said at a BBC forum in 2013.